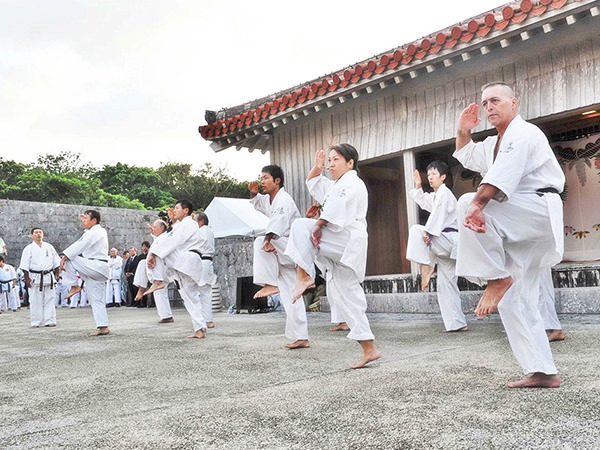 Karate or Karate-do is a martial art. It was originally established in Ryukyu Kingdom, current Okinawa (refer to #065). The word "kara" in "karate" is "emptiness" in English and "te" is "hand", respectively. The name indicates that it is a martial art without using any weapon. In 1924, Karate adopted Dan, a ranking system of Judo (refer to #227). 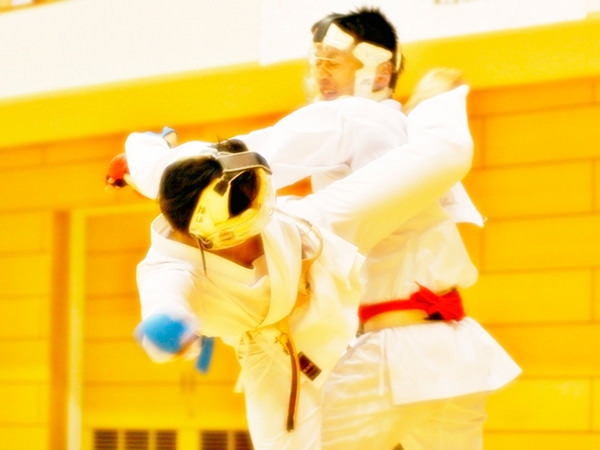 In Karate as well as in Judo, beginners wear white belts named Shiro Obi (refer to #226), but athletes who have obtained high-class Dan are allowed to wear black belts named Kuro Obi.